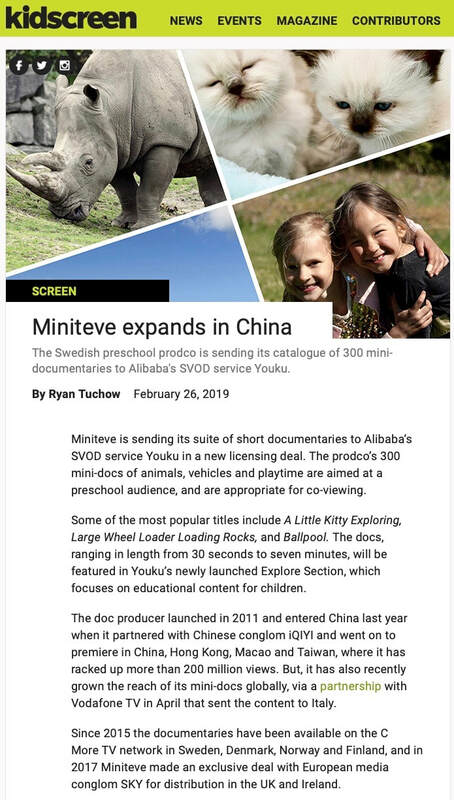 Miniteve, with its safe, educational and entertaining mini-documentaries for preschoolers is expanding its presence in China by partnering with Chinese online conglomerate Alibaba’s SVOD service Youku. ​Last year Miniteve entered the Chinese market together with Baidu’s iQIYI and to date its mini-docs has received over 200 million views. Now Miniteve is taking the next step in the territory by signing a license deal together with Alibaba’s video streaming arm Youku. Miniteve will be one of the main attractions in their newly launched ”Explore Section” that focuses on educational content for children. Miniteve’s concept brings informative, educational and entertaining content to preschoolers and are produced to stimulate curiosity and recognition. 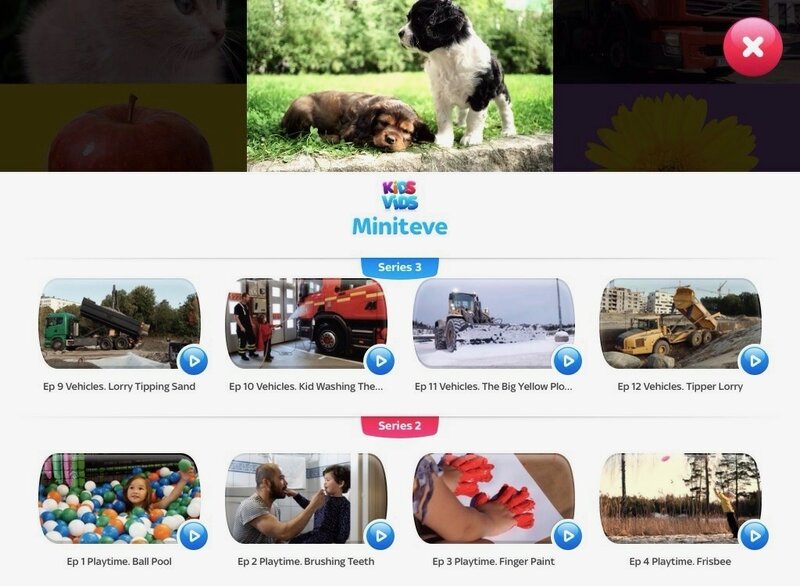 Miniteve, with its over 300 episodes about animals, vehicles and playtime, has been developed with the participation of child experts and have received a lot of praise since its launch in Sweden 2011. Earlier this year Miniteve premiered in China on iQIYI, one of the largest streaming video platforms in the country and became popular very quickly. Its content has already reached over 100 million views. Now Miniteve is extending its presence in Europe by partnering up with Vodafone TV, the Vodafone Italia service for the whole family that combines the best of traditional TV with top quality on demand contents into a single platform. ”We are glad that so many children and parents are loving Miniteve’s mini-docs and we are very excited to be introducing Miniteve to families in Italy together with Vodafone" says Henry Chu, founder and CEO of Miniteve. Miniteve's debut in China has been very well received. In a very short period of time Miniteve's content have already been watched over 200 million times! We are all very happy that so many Chinese families are enjoying our quality approved mini-documentaries. Swedish Miniteve, with its entertaining and educational mini documentaries for preschoolers, has come to China and internet giant Baidu’s streaming service iQIYI, one of the countries largest streaming video companies. Last year Miniteve expanded their presence in Europe by teaming up with Sky, Europe's leading entertainment company. Now Miniteve is taking another big step by debuting their content and brand into the Asian market by signing an exclusive license deal with iQIYI. Miniteve with its 300 episodes about animals, vehicles and playtime premiered on January the first this year in mainland China, Hong Kong, Macao and Taiwan. ”We are very happy and excited to be launching Miniteve in China together with iQIYI. 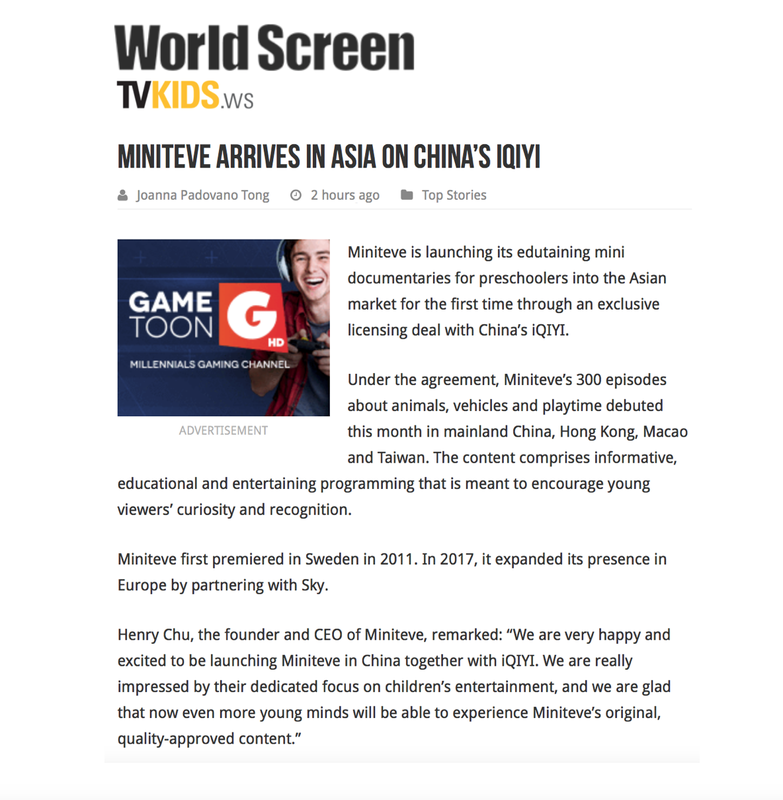 We are really impressed by their dedicated focus on children’s entertainment, and we are glad that now even more young minds will be able to experience Miniteve’s original, quality approved content," says Henry Chu, founder and CEO of Miniteve. Miniteve’s concept brings informative, educational and entertaining programming to preschoolers and are produced to stimulate curiosity and recognition. The productions are documentary in style and are a fresh, quality approved alternative to the animated content most distributors offer. Miniteve have received a lot of praise since its launch in Sweden 2011 and have also been acquired in Norway, Denmark and Finland. iQIYI has actively promoted innovations in products, technologies, content and marketing to provide Chinese users with rich, smooth and high-definition online video experience. Miniteve, with its Swedish-produced educational programs for preschoolers, team up with Sky, Europe'sleading entertainment company , which acquires exclusive rights to all Miniteves programs in UK and Ireland. "At Sky, we have the very best range of entertainment for kids and their families. We are thrilled to be working with Miniteve and their mesmerising mini-docs - we know our youngest viewers will love these new shows” said Lucy Murphy, Head of Kids Content, Sky. Now you can stream the Swedish, educational Miniteve programs exclusively on Sky and the Sky Kids app. Henry Chu, founder and CEO of Miniteve, has created the content that are produced to stimulate curiosity and recognition of the younger children. Miniteve received a lot of praise when first launched in 2011 in Sweden. Swedish largest Morning paper DN wrote; ”Miniteve is like a long ,warm hug,", while in Aftonbladet you could read that "Miniteve is a great way to cultivate the specific interests of young children, and for the parents it will be a pleasant opportunity for intensive closeness with their children." 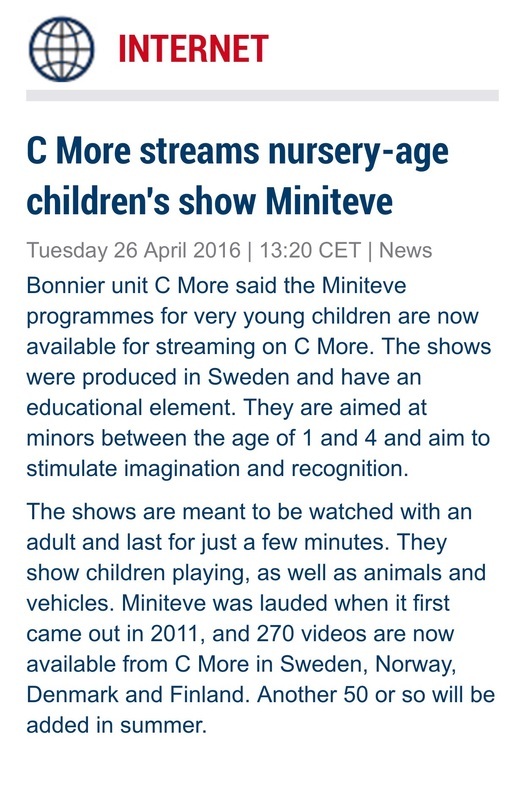 You can also view Miniteves's content on C More, which has exclusive rights in Sweden, Denmark, Norway and Finland. Discussions with other distributors in Europe, the US and Asia are ongoing. Now the Swedish pedagogical Miniteve-videos can be streamed exclusively on C More. Henry Chu, a television host known from the multi award winning children’s show Hjärnkontoret, has created the videos to stimulate the imagination and creativity in children 1-4 years of age. 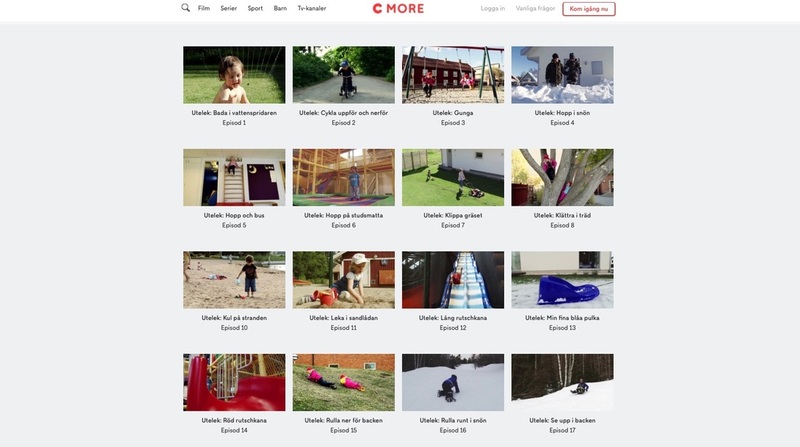 -” C More can now offer educational videos even for the youngest family members, and as much of our other content, Miniteve is made in Sweden. This is an addition of the highest quality”, says Bo Thörnwall, Head of Programs at C More. 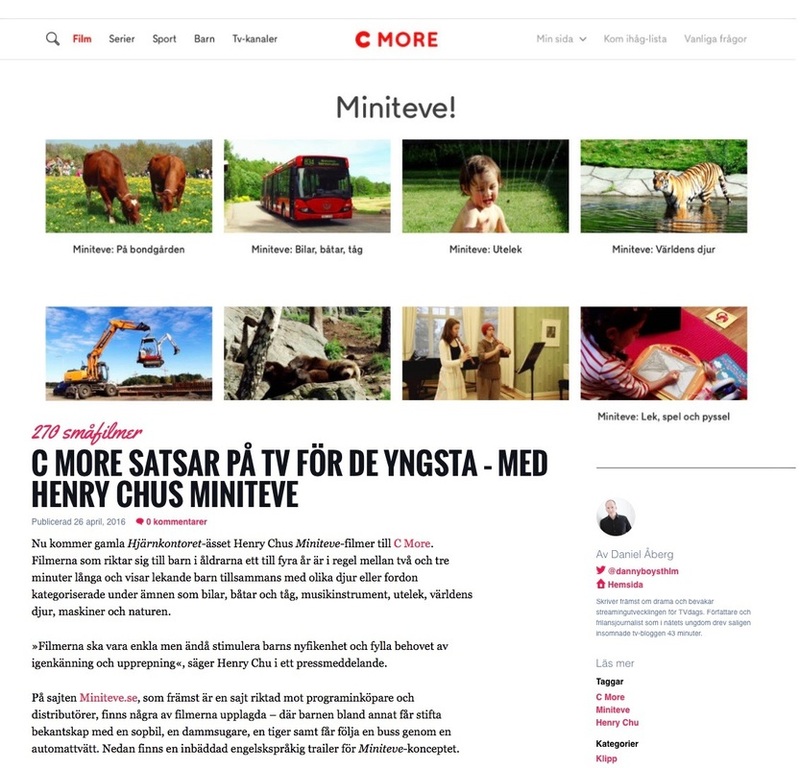 Executive TV Producer Henry Chu, a television host known from Hjärnkontoret, created the pedagogical Miniteve concept with his young son in mind. The tranquil videos, to be watched by children in the company of adults, have a running lenght of a few minutes featuring children at play, animals and vehicles. Miniteve recieved favorable reviews at first launch in 2011 and now 270 films will be available for streaming at the C More service in Sweden, Norway, Denmark and Finland. -The productions are made to be elemental yet to stimulate children’s curiosity and recognition encouraging repeated viewing. I am very pleased that they now will have a home at C More who favors quality, that is why I chose them as a partner after several other media houses also showed interest, says Henry Chu, who is set to launch Miniteve outside of Scandinavia later this year. Chus video content has received a lot of favorable reviews: ”Miniteve is like a long warm hug”, DN wrote whilst Aftonbladet stated ”Miniteve is an excellent way of cultivating the specific interests of young children whilst the parents can enjoy a shared experience with their children”. - The communication between children and adults can develop in a very positive way when watching Miniteve. The viewing is active – this evolves into a dialoge. "Miniteve is like a long, warm hug." Aftonbladet, the biggest newspaper in Sweden counting all reach in all devices and print, writes that "Miniteve is excellent way to develop children's specific interests..."
Miniteve is featured in the popular parenting magazine "Vi föräldrar"